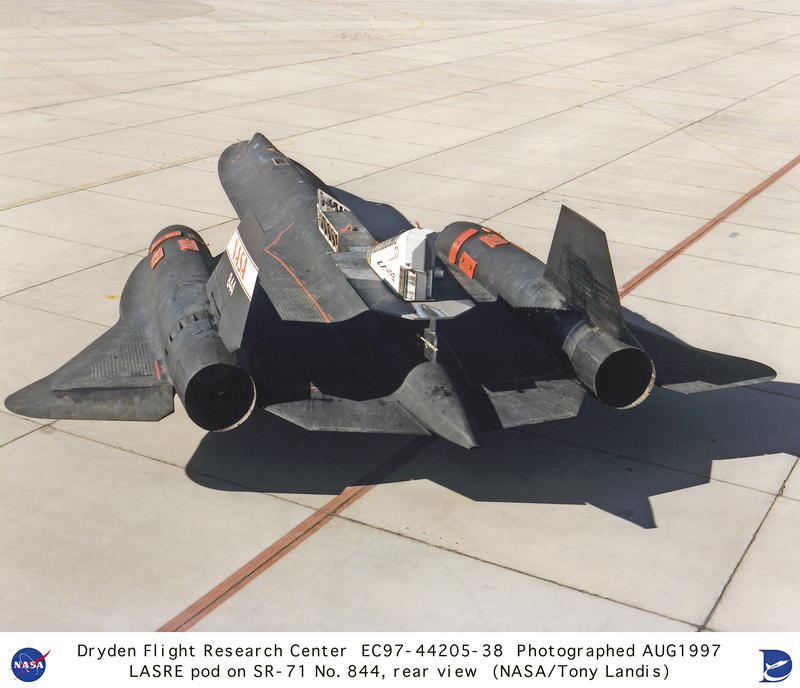 Description: The Linear Aerospike SR-71 Experiment is seen here almost ready for its first flight aboard NASA's SR-71 No. 844. The initial test flight took place on 31 October 1997. The experiment was mounted on the SR-71 on Aug. 26, at the NASA Dryden Flight Research Center, Edwards, California.